Carriers are the outlet selling the most iPhones - whether Apple likes it or not - and in this case, it should since Verizon Wireless has just announced that sales of the iPhone have surged on it. 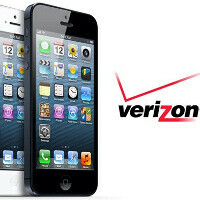 Verizon activated an impressive 3.9 million iPhones in the second quarter of the year, according to analyst Walter Piecyk. The figure is up a whopping 44% from iPhone sales in the same period last year. We are also seeing that once again Apple’s device alone outsells all Android and Windows Phones combined on Verizon. Amidst concerns for declining iPhone sales, this is a reassuring piece of data for Apple. The company is strong in the United States, but is far behind Android in the rest of the world. To counter that global trend, Apple is expected to launch an affordable iPhone with a plastic shell and vivid colors. Excellent all around device, not for everyone but you can't go wrong with one. I agree. It's an excellent devices that just works. You definitely can't go wrong with owning an iPhone. There's something for everyone on the iPhone. Not looking for a flame war here but whenever numbers like this are given to wall Street from not just Verizon but AT&T, Sprint, T-mobile I have to say I smell a bubble -. Seen it in the Internet IPOs, Telecom Bubble (Remember MCI & Global crossings) and recently the Mortgage Bubble. I am seeing here a Cell Bubble. I believe we are at the saturation point now with cell technologies. Almost a billion activation by Android alone plus the other millions of activation of iPhones. I thnk a crash is coming and the carriers are just cooking the books to look good to wall street investors. I maybe wrong but I can't see this pace being sustainable for so long. I'm going to agree with you here and present a culprit. The improving experience of smartphone ownership. With performance deficiencies and differences becoming less common; there's less and less reason to upgrade. 1080p screen vs 720p for instance. Twice many pixels but very little overall improvement. Same goes for processing power. There's not a lot of room to improve because 95% of people only use Smartphones for fairly mundane tasks that don't need much muscle. Samsung trolls are coming to lambast this article! So does Verizons pricing and customer service... "CAN YOU HEAR ME NOW"
Lol, comment of the day confirmed. Have fun roaming with that slow 3G when LTE giant available. And don't start with the T-Mo coverage, because I have 4G everywhere I go. And WiFi calling if I wanted to. What about you? T-Mo LTE + HSPA+ = One happy person. I prefer AT&T or Tmobile, and I'm with AT&T. While there are more activations, it would appear that Verizon had to sell the phones for less, to move them faster...good news for consumers and Apple, sort of bad news for such carriers. Sure the iPhone is going to be selling the hottest on Verizon when they are on the hook for a huge financial loss if they don't due to the rediculously contract Apple lured them into. Verizon is going to be pushing the iPhone harder than any other.